Rapper/producer Michael Bonema (MIKE), curator Joygill Moriah, and journalist Nazuk Kochhar discuss MIKE’s December release, War in my Pen, followed by a performance. 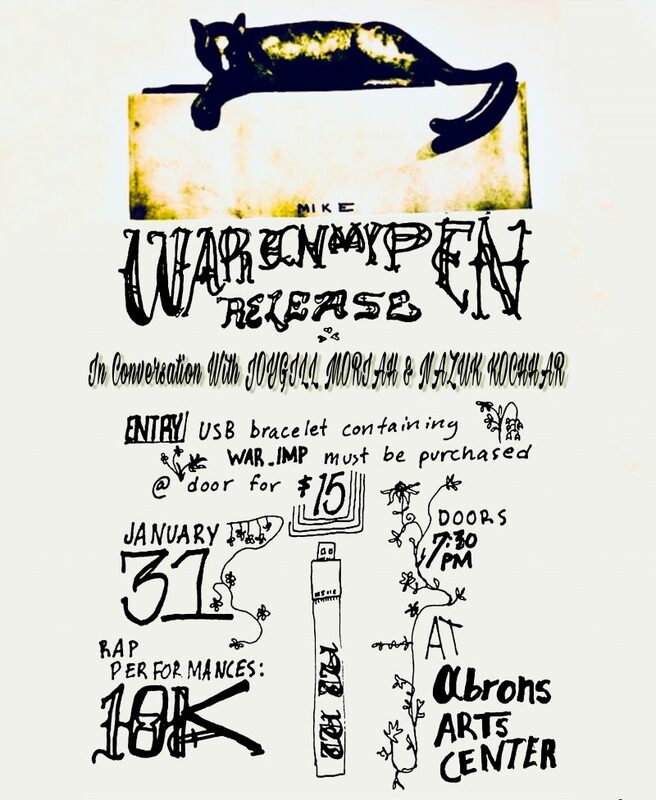 Ticket purchase includes USB bracelet containing War in my Pen album, liner notes, research materials and allows entry to the WAR.IMP event. At just 20, MIKE’s music carries age beyond his years. Born in New Jersey, MIKE moved to London with his mother before settling in The Bronx for the remainder of his later teenage years. Both regions have had an audible influence on the young rapper’s music – in England he was immersed in grime and the music of King Krule, and in the United States he was turned on to Earl Sweatshirt and MF Doom. In New York, he discovered several artists with a similar ear and style, and formed his collective [sLUms]. Consisting of Adé Hakim, Darryl Johnson, King Carter, Jazz Jodi, and DJ Mason, the group is a diverse range of producers and rappers who each make music about the tribulations of coming of age and being black in New York City.